Zhou Xun: Jay Invited Zhou Xun to Shoot MV! Jay Chow will invited Chinese actress Zhou Xun to shoot his latest song's MVof the new album 'November's Chopin', which will be release in the 1st of November. 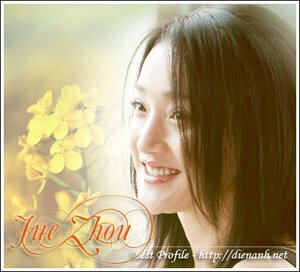 Zhou Xun was happy to collaborate with Jay. Therefore, both of them shoot the MV, ' Si Mian Chu Ge' in Venice with the director, Kuang Shen. Kuang Shen mentioned that this is a fast song. Although both of them not acting as couple in the MV, but Zhou Xun can quickly catch what Kung Shen director wants. Due to Jay's debut movie, 'Initial D' promotion activiti and 'Incomparable concert' world tour, Jay latest album can't be out during this year summer. The date of released was delay from July till now. It has been comfirm to be release at 1st of November. The album named,' November's Chopin' was inspired from the Golden Melody Award. Jay and Nan Quan Mama member, Yu Hao piano performance has given a deep impresion to the audience. I forgot to post this news yesterday! Sorry for the late !